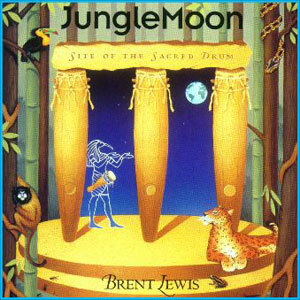 “Jungle Moon”, Site of the Sacred Drum is the most powerful drum album ever created. It is a magical tapestry of rhythms and melodic drumming that will delight the hearts of everyone. You will want to dance in a trance when you hear the Cave Witch chant. This album is the ultimate house cleaning extravaganza.